Silver Ogham Pendant with Yellow Gold Trinity Knot Detail. The Ogham Script spells the word, ‘Faith’. 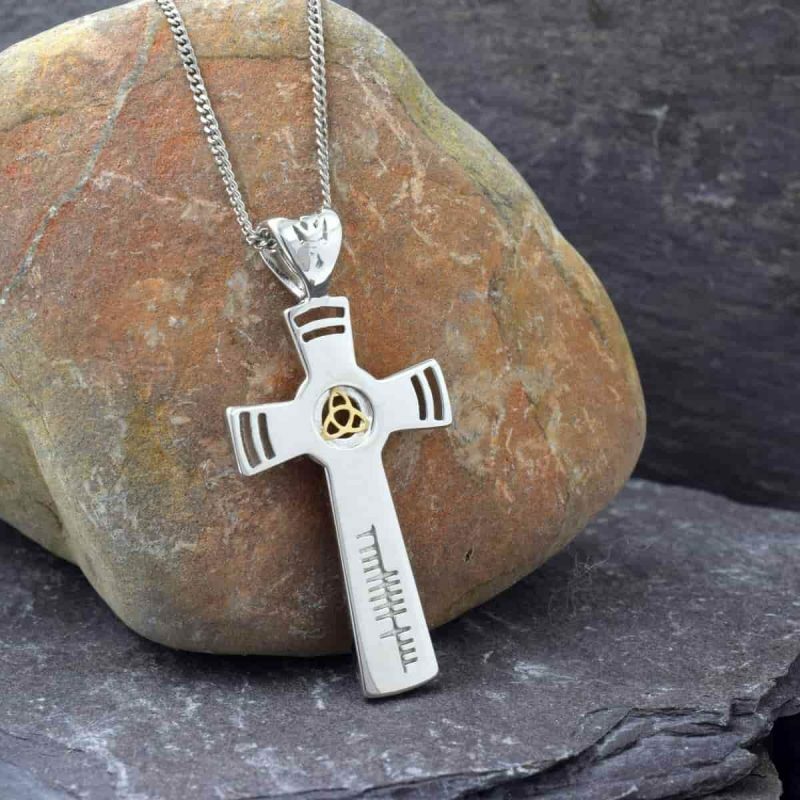 Handmade and hallmarked in Ireland, this Ogham inscribed Celtic cross is cast in sterling silver with a 10k yellow gold trinity knot detail at the center of the cross. Measures 40.3mm high (including bale), 19.12mm wide and is fitted with an 18 inch sterling silver chain. Ogham script reads, ‘Faith’.